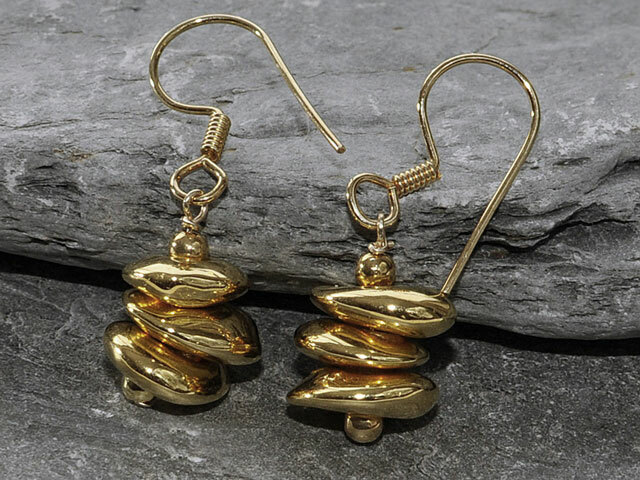 Stylish, beautiful, organically shaped earrings. Length: 30mm overall. Vermeil hooks. 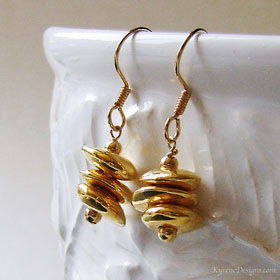 (Larger sized Athena flake earrings also available in gold to order contact sales@kyrenedesigns.com). View our materials page for information on ceramic beads and vermeil.